The Department invites applications for an Associate Professorship / Assistant Professorship in Japanese studies. Applicants should (i) have a relevant PhD degree; (ii) be dedicated to teaching; (iii) have an excellent record of research with a record of success in grant applications; (iv) be able to work well as a team member; and (v) have native or near-native fluency in English and Japanese. Applicants who specialize in the following areas are invited to apply: Japanese sociology, cultural studies, media studies, literature, education, urban studies, political science, international relations, gender studies or other related fields. Specialists in history, anthropology and linguistics will be given a lower priority. Candidates capable of inter-disciplinary, comparative, and transnational research are particularly welcome. Duties include (a) teaching at undergraduate and postgraduate levels; (b) project coordination; (c) mentoring students; and (d) committee work. Consideration of the applications will begin in November 2015 and will continue until the post is filled. Salary will be highly competitive, commensurate with qualifications and experience. The University offers a comprehensive fringe benefit package, including medical care, plus a contract-end gratuity for an appointment of two years or longer, and housing benefits for eligible appointee. Further information about the University and the general terms of service for appointments is available athttp://www.per.cuhk.edu.hk. The terms mentioned herein are for reference only and are subject to revision by the University. 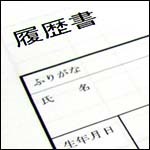 Application forms are obtainable (a) at https://www2.per.cuhk.edu.hk/en-GB/, or (b) in person/by mail with a stamped, self-addressed envelope from the Personnel Office, The Chinese University of Hong Kong, Shatin, Hong Kong. Please send full resume, copies of academic credentials, writing samples, past teaching evaluations, a statement of research and teaching interests, abstracts of selected published papers, together with names, addresses and e-mail addresses of three referees who have consented to serve as such, to the Personnel Office by post or by fax to (852) 3942 0947. For more information, please contact Ms. Kitty Choi (tel: (852) 3943 6466 or e-mail: Japanese-studies@cuhk.edu.hk). This entry was posted in announcements, job openings, jobs and tagged assistant professor, associate professor, Chinese University of Hong Kong, Hong Kong, japanese studies, job opening. Bookmark the permalink.